It’s been a while since I added a new ocean wallpaper for your desktop background. So, the time has come, and I have made two new ocean backgrounds available for download. As always, feel free to get them for your personal use, i.e., to set as for the home or work computer or laptop. You can also give it to your friends and family for similar usage. You are not allowed to report or distribute these wallpapers on any sites without providing a valid clickable link to https://antongorlin.com. See “How To Credit” section below. Also, any commercial use is prohibited. <a href=”https://antongorlin.com/galleries/4k-wallpaper”>4K Wallpaper – Anton Gorlin</a>. If you reading this post, there is a chance you love the ocean as much as I do. I enjoy its power and ever-changing beauty. Somehow, it has the magic to take away all your worries and fears and to fill you to the brim with the energy of Nature. Sometimes, I feel exhausted and not feeling like waking up at 4 am to see my old friend, the Ocean. But once I hear the soft rumble of the crashing waves, once I feel the salty breeze on my face, it’s all gone. I regain myself; I start to recall what’s essential and eternal and what’s temporal and passing. There is nothing in the whole world that could match this healing effect. And so, I want you to share this experience with me, to help you feel better and do better things. And that is why I keep adding various desktop backgrounds for free. In this case, I have added two ocean wallpaper downloads. 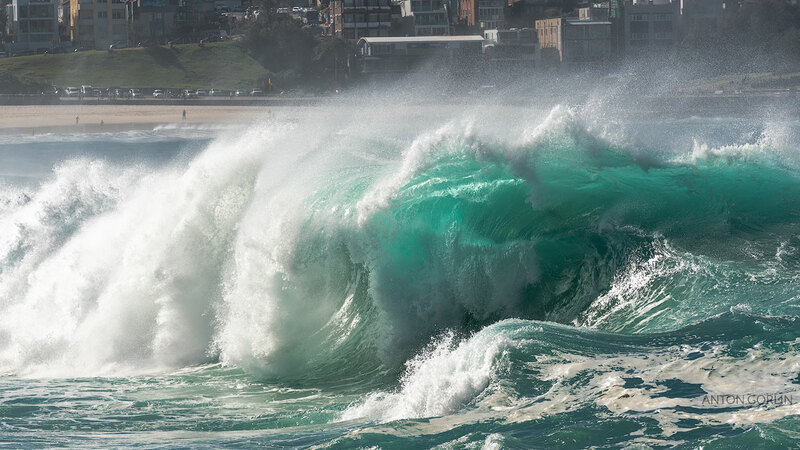 These enormous waves were photographed between Tamarama and Bondi Beaches in Sydney on a sunny and stormy day. 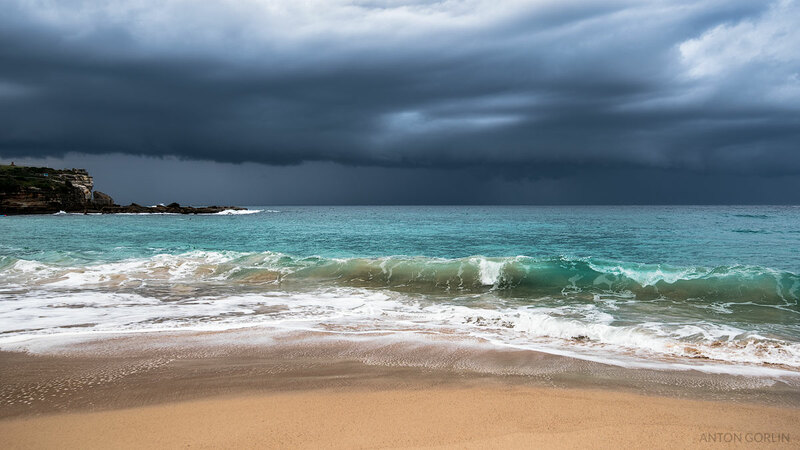 The approaching storm is coming towards the Coogee Beach in Sydney. Shortly after I created this photograph, I had to flee. If the download buttons do not work for some reason, please let me know as I’m testing some new functionality on this site.